Apparently, I have some kind of selective memory when it comes to music of the '80s. Due to my young age perhaps (21, if you must know), I can recall with eerie accuracy every single from George Michael's Faith album, yet have no conscious memory of, say, Haircut 100 and their sole U.S. hit "Love Plus One." What we have here is a sweet, fun collection of solid pop songs that pilfer many obvious (and some less so) selections from the Beatles bag of tricks. But maybe former Haircut frontman Nick Heyward would prefer my ignorance. His subsequent solo career has attempted to put the teen-idol status of Haircut 100 behind him. 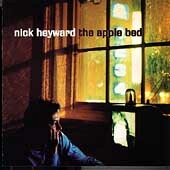 With his latest solo release The Apple Bed (Big Deal) currently facing me, I am left to simply judge the music as it stands, without the benefit (or detriment) of Heyward's past to effect me. What we have here is a sweet, fun collection of solid pop songs that pilfer many obvious (and some less so) selections from the Beatles bag of tricks. In other words, The Apple Bed is good, real good. It's not terribly original, with nothing more innovative than the pleasing, rarely tapped mix of fuzz guitars et. al. and strings on "My Heavy Head." But when faced with the kind of big, heart-melting hooks found on "In Every Place," "Just Like Sorrow," "3 Colours" (the latter being one of three hidden tracks) and many (if not all) others, lack of originality starts to seem like a petty quibble. Though, the Radleys are a tad more diverse...their eclecticism doesn't quite succeed the way Heyward's eager-to-please-ness does. With Heyward's unabashed Cockney accent and allusions to everyone from the Fab Four to Squeeze to Blur, The Apple Bed suggests that, crazy as it sounds, no one does being British better than the British. 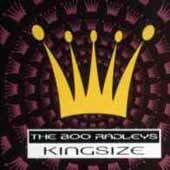 Kingsize (Creation), the latest from Liverpudlians The Boo Radleys, isn't quite so fine. For one , at 15 tracks in 65 minutes, it's too damn long. Though, the Radleys are a tad more diverse - experimenting with dance and Curtis Mayfield-like funk as well as melodic pop - you can't help but wonder if they're spreading themselves a bit thin. Thusly, their eclecticism doesn't quite succeed the way Heyward's eager-to-please-ness does. But who said we had to compare the two? The Radleys' (or, guitarist-songwriter Martin Carr's, rather) melodic gifts are nothing to scoff at either. Some tracks grab the listener immediately (the opener "Blue Room in Archway," "Comb Your Hair"), while others, like the title track, take a while to sink in. The album too is, as they say, a bit of a "grower", but it's nothing to be ashamed of. Ed: Since this article was written, The Boo Radleys have called it quits.